The Outer Rim. 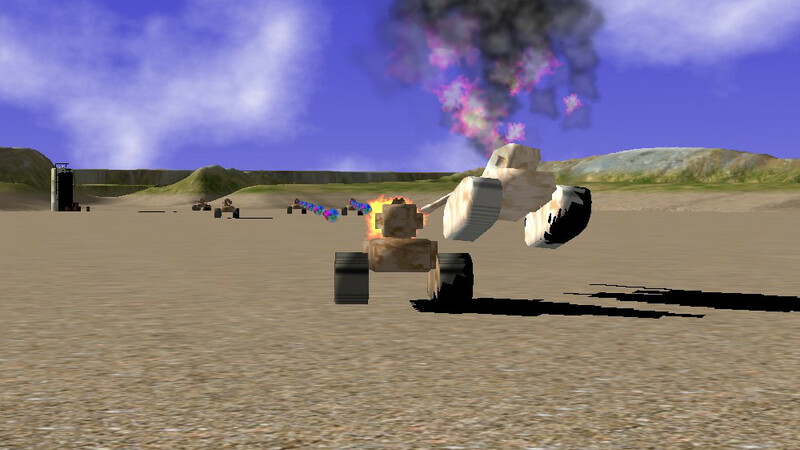 A futuristic game with robots, tanks, guns, big explosions and lots of mayhem. Set in the future, with your colony on the edge of collapse, the Sentinel Mark 2 Attack Droid must guard the valuable oil refinery. Are you up to the job? Featuring: Fully immersive 3D action, physics engine for added realism, big guns for added fun, an engaging campaign spread over many levels, upgrade your robot, play other “arcade” modes such as survival and Arena.